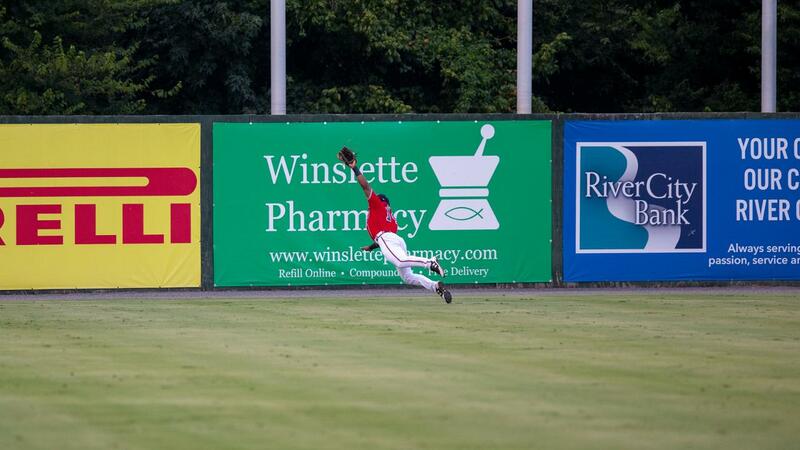 Rome, GA - The Rome Braves fell to the West Virginia Power Friday night at State Mutual Stadium 6-4 before a crowd of 3,309. Rome held an early 4-0 lead and West Virginia chipped away to take the lead ninth to get the win. Rome's first inning was a good one plating four runs highlighted by RBI singles by Drew Lugbauer and Hagen Owenby, a run scoring double by Trey Harris, and a wild pitch to score a run. After that, the Braves were shutout for the next eight innings. West Virginia made it a 4-1 game in the third on Travis Swaggerty's sacrifice fly RBI. The Power made it 4-3 in the fifth on RBI doubles by Lolo Sanchez and Connor Kaiser. Rafelin Lorenzo cracked a solo home run to left with two outs in the eighth to tie the contest at 4-4. Rome reliever Kelvin Rodriguez struggled in the ninth with two wild pitches and two passed balls, along with a sacrifice fly RBI by Calvin Mitchell putting West Virginia on top 6-4. Rome went quietly in the bottom of the inning giving the Power the victory. West Virginia's Elvis Escobar (3-2) gets the win, and Braves Kelvin Rodriguez (3-5) will get the loss.